Wow! 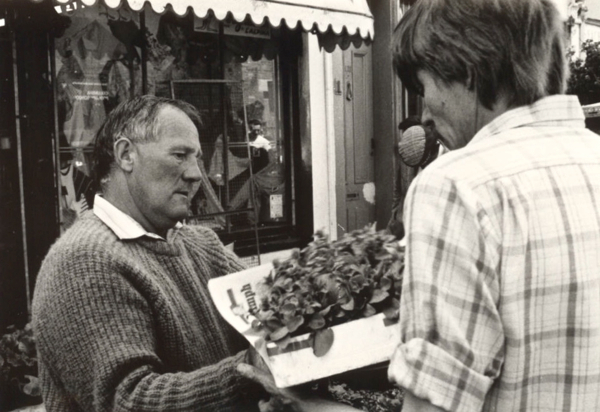 My dad working down the market. I remember the first day we turned up at Columbia road market we felt so unaccepted and everyone was looking at us, but we soon fitted in and became well known. He always told his customers ‘look with the eyes not the hands’ he could not stand anyone touching the plants. It was and still is a big part of our family. Although we gave up,our stalls about 6 years ago my Mum still works in a flower shop there, she is 85!